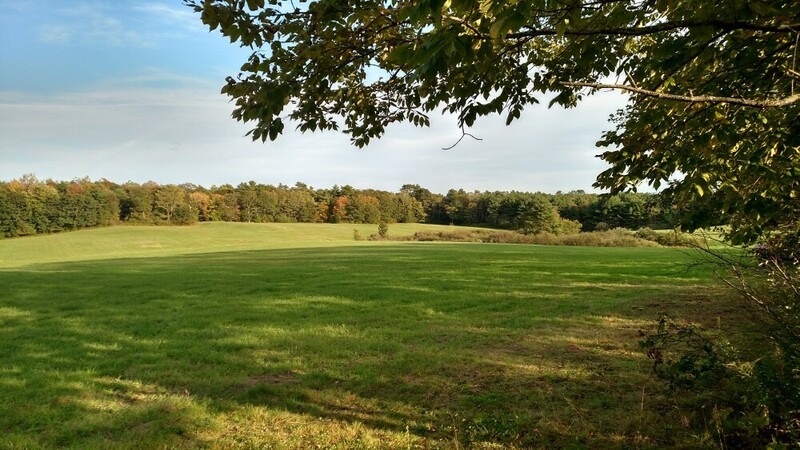 Today I decided to stay home and work the large 50 acre hay field across from my home. I got out there about 3:00pm and just wandered around - going where it "felt right". Pretty quickly I found a bunch of rifle shells - about 6 in one spot. Clearly someone was standing right there doing target practice. Then I spotted my friend John headed out into the field for a walk and invited him to join me on my hunt and and found another 3 shells including a live round. We decided to walk down the road to a spot where there is a cellar hole across from the field and started detecting across the road from that foundation. I don't yet have permission for the cellar yet and it is pretty overgrown and hard to detect. But along the verge of the road I got a few big signals - a soda can and a carburetor. We decided to re-enter the field and work our way around the edge and the next good signal also had a big footprint. This time I found an axe head in pretty good condition. It must be nearly 100 years old. This is my first axe head and I'm pretty pleased. 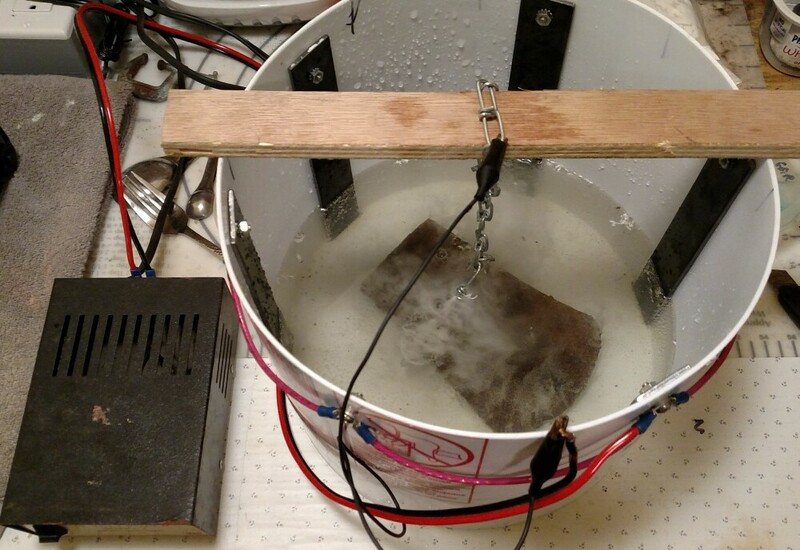 By coincidence - or synchronicity, I had just built a large electrolysis tank from a 5 gallon bucket in anticipation of finding large rusty items that might need cleaning. Life often works this way for me. So I hung the axe head on a chain connected to the negative terminal of a 12V 3Amp power supply with the positive side going to the 6 heavy steel bar electrodes around the sides. I filled the bucket with water and some white vinegar and added some baking soda and turned on the power and pretty soon the axe head was bubbling. This is a sure sign that the rust is being cleaned off. After an hour the water was brown with rust and gross yellow foam. I'm planning to restore this axe head and make a new handle for it - so I'll blog about that later. But back to the field, I found another large signal that turned out to be a horse shoe with all the nails still in it. It is badly twisted and we both were baffled as to what could bend a heavy piece of metal like that. It will go in the electrolysis bath next. It was a great day to be outside in the warm, brisk fall air and I'm very pleased with the finds for the day and it was great to share the experience with John. I'll go back around the field more now that I can see there is potential to find more cool relics.